Anyone who is using the WordPress platform for their blog or website is already using PHP. Chances are good that you may never need to learn anything about PHP because everything happens at the backend. With the help of plugins (which all use PHP), we can add functionalities to WordPress without editing a single line of code. In December 2015, PHP version 7 was launched, and if you paid attention, you noticed that almost all the popular WordPress hosting companies (like SiteGround, Bluehost, etc.) switched to PHP 7. As an end-user, the PHP version really matters as it can speed up your blog by a considerable amount. In this article, you will learn a bit about PHP & how to check the PHP version of your hosting. This is useful even for non-technical users as it will help you improve the overall performance of your WordPress blog. Also, if you are planning to switch hosting in the coming days, making sure you have a compatible PHP version is going to be another deciding feature for your purchase. Before the launch of PHP 7, almost all hosting companies were using PHP version 5.6 or earlier. In fact, chances are that right now your WordPress blog is on a hosting that is offering PHP 5.6. But PHP 7 is a considerable performance improvement over PHP 5.6. 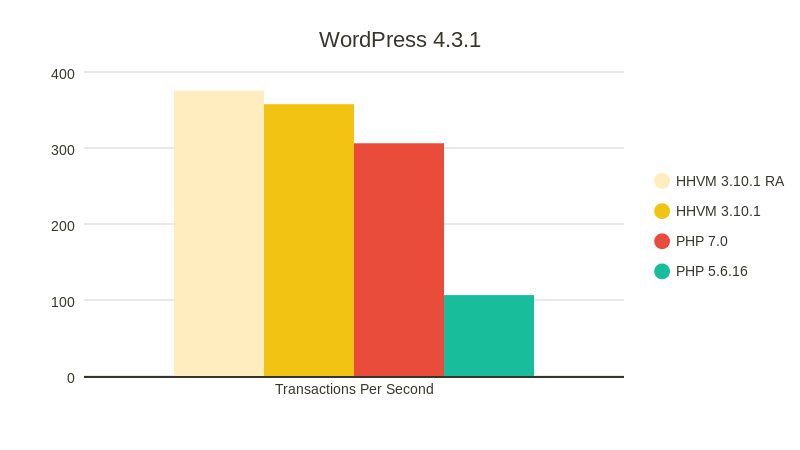 According to tests, PHP 7 makes your pages load in almost half the time. This can clearly be seen in a test done by Kinsta hosting, where they used dummy content from wptest.io and benchmarked the home page for a minute with 15 concurrent users. Similar results were found when using other CMSs like Drupal, Magento, and others. In a nutshell, if your hosting offers you the option to use the latest version of PHP, you should switch to PHP 7. What version of PHP are you running your WordPress blog on? There is a simple plug & play plugin that shows you the current PHP version your web hosting is running WordPress on. You can search for “Display PHP Version” from the WordPress dashboard & install the plugin. Here is the official download link. Once you have this plugin activated, simply go to the WordPress dashboard & you will be able to see the version of PHP under the “At a glance” section. In the above screenshot, we’re looking at a test blog hosted on Bluehost hosting which is currently running on PHP version 5.6.29. Using the same plugin, you can find the PHP version of any web hosting that you are using. From here, the next step is to switch the PHP version to PHP 7. However, before you do that, one thing you need to ensure is that your plugins & themes are compatible with PHP 7. If not, your site might break. If you are using plugins & themes that are regularly updated, you will have no compatibility issues. But if your site breaks, you don’t need to worry as you can always downgrade your PHP version with a few clicks (and your site should already be backed up). As I said, this may or may not happen, so your best bet is to switch your hosting PHP version to PHP 7 & hope it works. After downloading, you can use the plugin by going to Tools > Compatibility & configuring it with the below settings. Click on Scan site & it will display the results within minutes. This means that all of my plugins are compatible with PHP 7 & I can upgrade my PHP version. 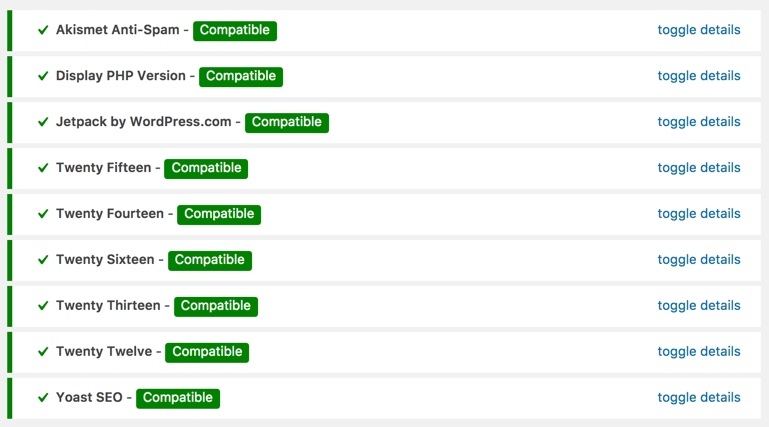 You can run the same test on your site and see if all of your plugins & themes are compatible. If anything is not compatible, you should consider dropping it before changing to PHP 7. PHP 7 offers considerable speed improvements over its predecessor. If your hosting offers the feature to use PHP 7 AND your WordPress plugins/themes are compatible, you should definitely upgrade. Make sure to run a speed test before & after to notice the difference in speed & overall performance. ShoutMeLoud is hosted on Kinsta hosting & we have already been using PHP 7 for the past few months. What hosting are you using, and what PHP version is your WordPress blog running on? Let us know in the comments section below! I just installed that plugin and i am using godaddy and it says “PHP version: 5.6.27” and you gave me another reason to switch my host. This article of yours came exaclty at the right time. i was on a monthly package which is about to get expire soon. Now the first thing to do now is just check & follow. Harsh it was more helpful. I agree with you. In fact, upgrading the PHP version of your hosting can help secure and make your site runs smoothly. But, that would depend on the web host. As far as I know not ALL hosting are using PHP 7 yet. Correct me if I am wrong. My hosting company, A2hosting, just recently offered version 7.0. The 1st time I tried to upgrade, I couldn’t. Following this post as my guide, I’m at this very moment using the PHP compatibility plug-in to check for problems before converting. Thanks for another useful post. 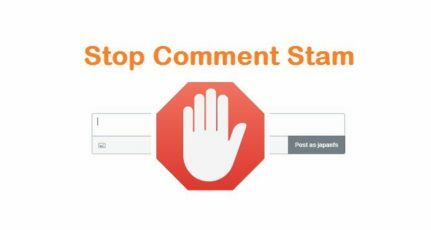 Great Post Harsh… very informative…. I am using Hostgator Managed WordPress Hosting for last 6months. I agree with you. In fact, upgrading the PHP version of your hosting can help secure and make your site runs smoothly. But, that PHP compatibility checker plugin is crashing the server. So, I would recommend you to find another good alternative to do that. This is very good Article, You always have something new to tell to the people. Thanks harsh for the informative blog , its very helpful in hosting purpose of php and it helped me to solve my plugin problem . It is very great information for new bloggers and WordPress designer. You are doing very good job. Thanks a lot. A great article for beginners. It will also helpful for the web designers. While upgrading to PHP 7, one thing you need to ensure that your plugins and themes are compatible with PHP 7. Thanks, bro for the information and my blog is already running in Running PHP version: 7.0.32 by Bluegeek hosting.